These Easy Happy Fish Bites with Peanut Butter Dipping Sauce are a perfect easy lunch or dinner for kids! This recipe is gluten-free and full of healthy omega-3 fatty acids. Fish can be a hard food to introduce to kids, especially if you want to avoid frozen fish sticks that are often loaded with unhealthy breading and scary ingredients. 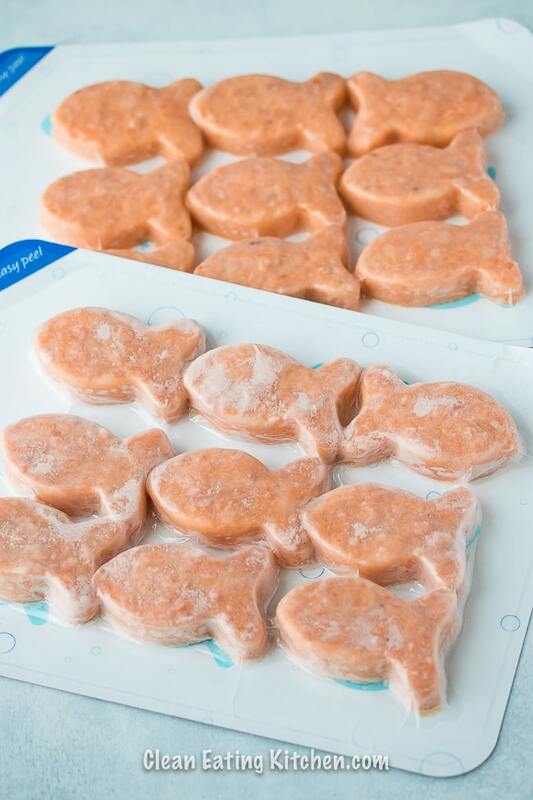 As a cleaner and much healthier fish option for children, I’m sharing this brand-new product called Happy Fish from sustainable seafood company Blue Circle Foods. Read on to the end of this post for a giveaway to win Happy Fish coupons and swag! Forget the pre-made fish sticks! Instead, you’ll want to try these Happy Fish bites that are made with only salmon, sea salt, and white pepper. (Disclosure: I was sent samples from the company to try and was compensated for this post; all opinions are my own). Most health professionals agree that Americans should be eating more fish. Fish is such a great source of omega-3 fatty acids, and it’s also rich in protein and micronutrients. Salmon in particular is considered to be a superfood because of how nutritious it is. Happy Fish is such a great product because it’s a clean protein full of antioxidants and omega-3 fatty acids. It’s also gluten-free, sugar-free, low in sodium, and free from antibiotics, added hormones, GMOs, and synthetic dyes. Happy Fish contains Atlantic Salmon raised by third-generation Norwegian family farmers dedicated to protecting the world’s oceans. It’s certified sustainable by Monterey Bay Aquarium’s Seafood Watch and Ocean Wise. The best way to make sure fish doesn’t taste or smell, well, too fishy, is to make sure it’s really fresh. Flash-frozen fish is also a perfect option, since the fish is usually frozen right on the boat where it is caught. Another tip for making fish taste good is to use a marinade or a sauce. Most fish options taste relatively bland, so you can get really creative with flavor. A citrus and garlic marinade is a great choice, but sometimes kids don’t like such strong flavors. 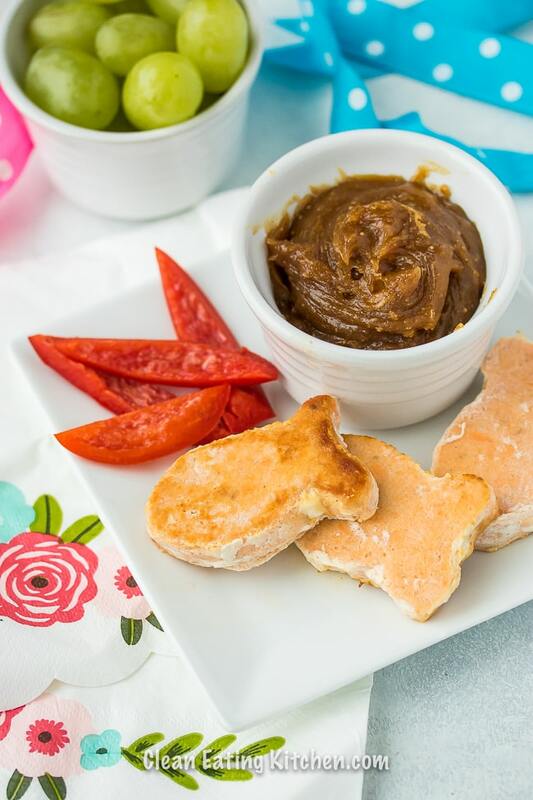 So, for this recipe, I made an easy Peanut Butter Dipping Sauce that kids will love. 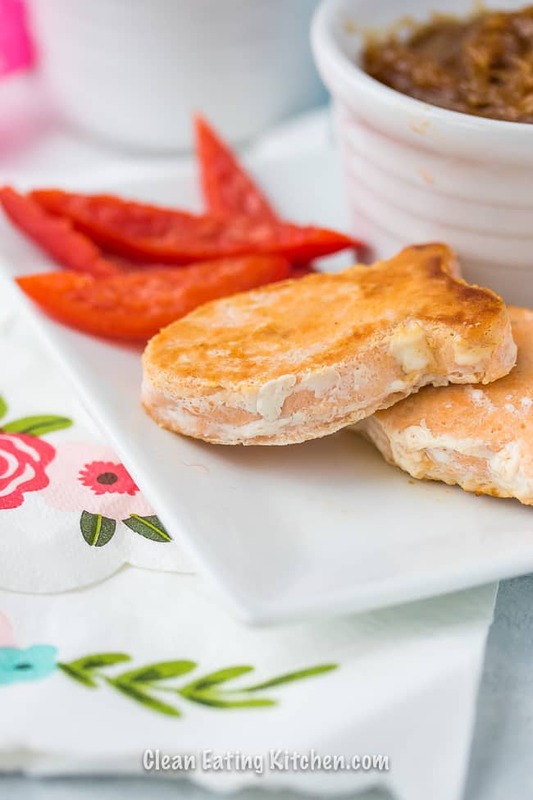 The peanut butter flavor is likely familiar and well-liked, and actually goes really well with salmon. You can see that I served the fish with sliced red bell peppers that also go quite nicely with the peanut butter sauce! There are many legitimate reasons why kids can be picky-eaters. I would argue that it’s actually an evolutionary advantage to be suspicious of trying new foods and flavors, as this might have protected our ancestors from toxic foods. Children who are fed formula as babies might be less adventurous in trying new flavors, since formula doesn’t capture the spectrum of flavors that breastmilk contains. This can make it even harder to get kids to try new foods as they get older. Picky eaters may also have a legitimate over-abundance of tastebuds (known as being a supertaster) that makes them more sensitive to bitter or strong flavors. 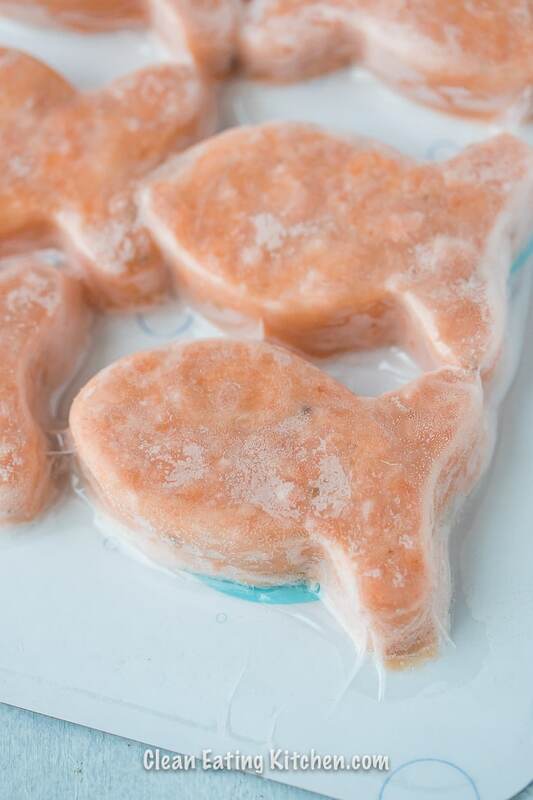 One of the best parts of Happy Fish is that they’re intended to be cooked from frozen. So, there’s no need to plan ahead. Just pop them out of the container and sauté them in a small pan. You can make the peanut butter sauce while the Happy Fish is cooking! The sauce is so easy, you literally just add peanut butter, honey, tamari, and hot water to a small bowl and give it a stir. 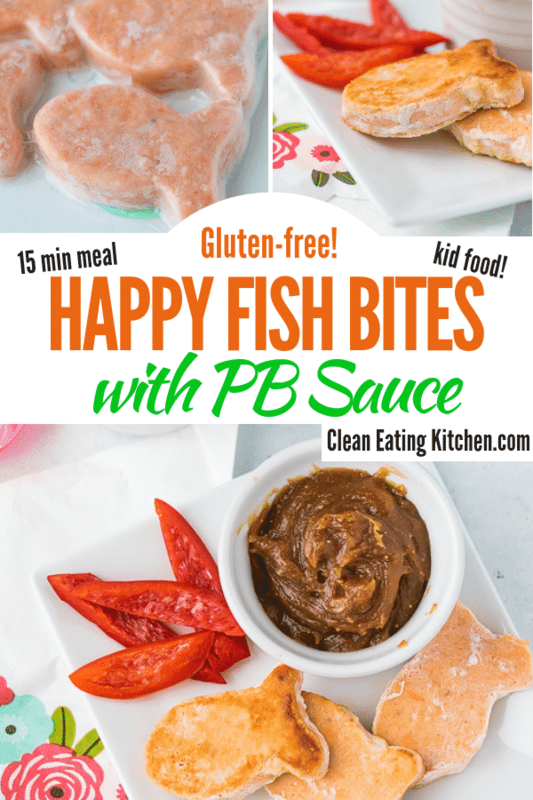 In addition to sharing the recipe for these delicious Happy Fish Bites with Peanut Butter Dipping Sauce below, here’s some fishy fish humor for the kids! Q: How did the mollusk get into college? A: On a scallopship. Q: Where do women fish keep their money? A: In their octopurse. Q: What do fish use for money? A: Sand dollars! Heat a small skillet on the stovetop over medium heat. Add the avocado oil. After a minute or two, remove the Happy Fish bites from the packaging and add to the skillet. Cover with a lid and cook for 5 minutes. Use a spatula to turn the Happy Fish over and cook for 3-4 more minutes, or until the fish has cooked through. Transfer the fish to a plate to cool slightly so it’s not too hot to eat with your hands. In the meantime, make the dipping sauce by combining the peanut butter, honey, tamari, and hot water in a small glass dish. Use a whisk to combine. Add more hot water if necessary to create the right consistency for dipping. Serve the Happy Fish bites with the dipping sauce. 3 Happy Fish without the peanut butter sauce has 210 kcal, 13.5 g fat, 565 mg sodium, 0 carbs, and 20 grams of protein. As mentioned at the beginning of this post, I’m offering a fun giveaway with Happy Fish coupons and swag for one lucky winner. Gift includes a coupon for free package of Happy Fish. reusable cooler bag. Klean Kanteen, and reusable sandwich bag valued at $50. The giveaway is open to anyone living on the Continental USA on the West Coast, Pacific Northwest, Rocky Mountain, or Mid-Atlantic regions (entry location is restricted since the product is not yet available nationwide). Use the link below to enter! I’ll pick one winner at random on 12/11/18. 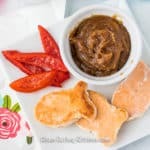 Good luck and be sure to pin this Happy Fish recipe with peanut butter dipping sauce to your favorite Pinterest board! I love cooking haibut. I need new ideas, but I usually bake it. I love halibut too, Annette! XO. I looooove the peanut butter sauce with these! These fish are the cutest and beat the old fish sticks we had to eat as kids! I have canned wild salmon I eat most often since it’s hard for me to keep or get fresh fish for a small portion. I like baked or grilled fish too but don’t make it that way as often. You plated this in such a cute way! And that sauce sounds delicious too. Awwwww, thanks Jennifer!!! I don’t have kids, but I feel like I eat like a kid sometimes, ha ha! I have recently added fish in my diet. I eat baby shrimp & salmon. I love salmon. I make it so many ways and never disappointed. Usually just bake with veggies around it and an oil and seasonings. I make salmon simply in teh oven baked ususally. These are cute! Currently Mahi is my favorite, usually sauteed in a pan and topped with a quick citrus avocado salsa. Chilean sea bass is my favorite fish for sure! It is so expensive but I treat myself every few months and get a piece. I eat salmon most of the time. I love salmon cooked in any fashion. these fish shaped patties are a nice size to easily heat from frozen.